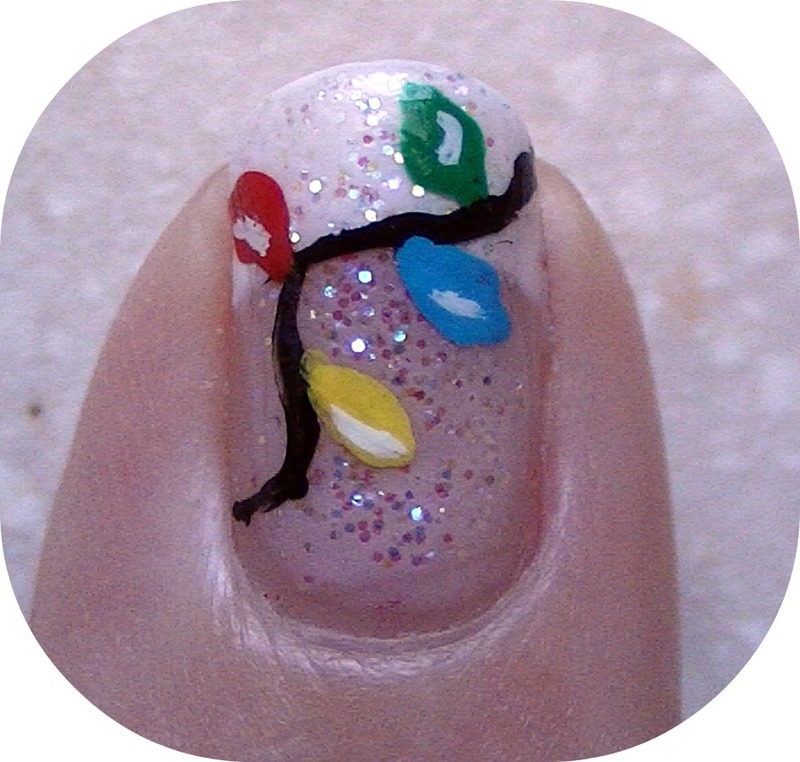 I started with the sparkle as I wanted the lights to be on top of that and I did two coats of it. Next, was the black wire for the lights having it range in wavy lines was best. If you don’t have nail polish stripers then any black polish will work with your own striper brush or even easier is using black acrylic paint here too. 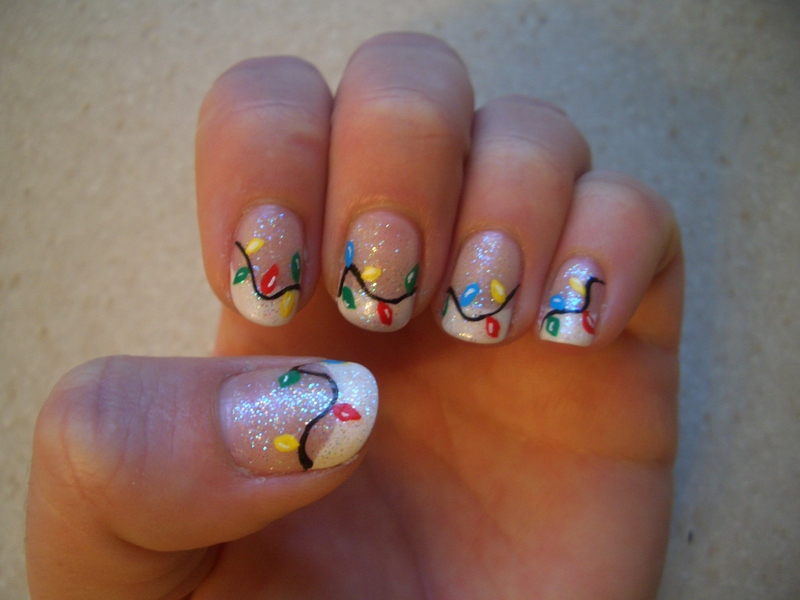 I started with yellow lights on all my nails one per nail, following through for each color. For the bigger nails/fingers I after put in a second color of choice to fill it up better. Once the acrylic paint is dry I added a little high-light of white for an effect on the tips of the lights. Try this easy design out. Let me see how you did. You can also, check out: Cute Polish her site is amazing and see how I get the inspiration to do this design.